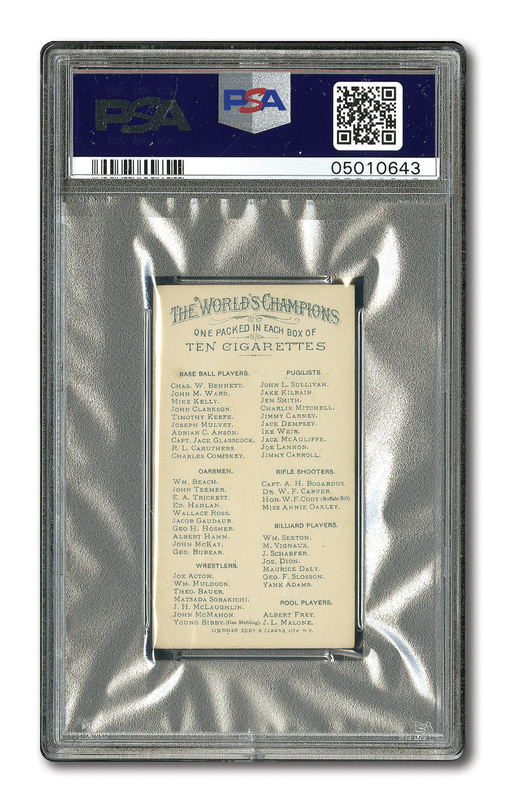 Great looking NM PSA 7 card of New York Giant Hall of Fame shortstop John Montgomery Ward from the beautiful 1887 N28 Allen & Ginter Cigarettes The World's Champions trading card series. 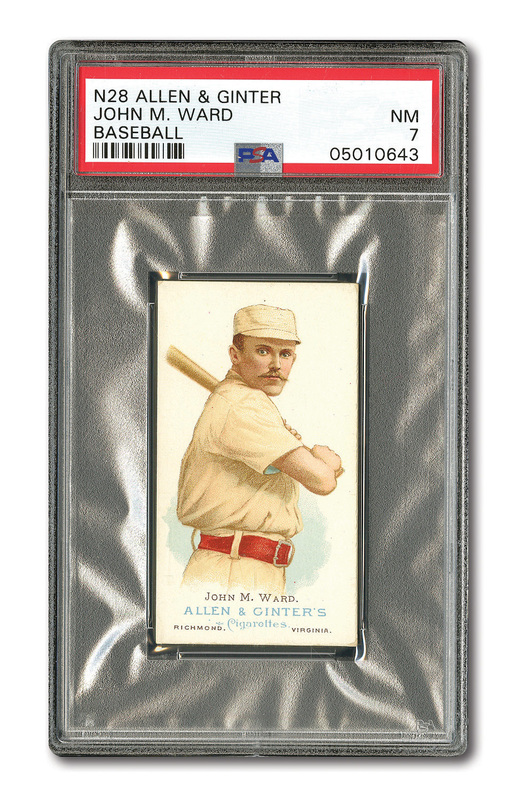 Ward originally came up as a pitcher, winning 109 games his first 3 years and throwing the 2nd Perfect Game in major league history for Providence in 1880. He is best remembered for being the shortstop of the powerful New York Giants of the 1880's. Great color with sharp picture image. NM or better looking corners. Clean front and back. Well centered. Pop 13 with only 8 graded higher.